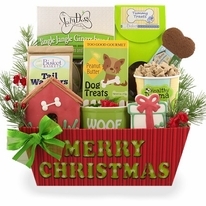 Santa's list not only shows all the good kids but the good doggies as well and this year FIDO'S name is shown right there at the top! 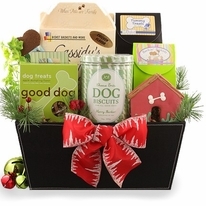 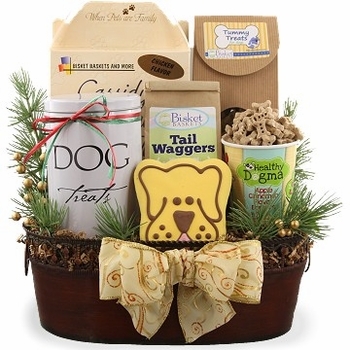 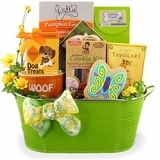 Every dog loves biscuits and our Classy Canine Christmas gift basket for dogs is certain to have his tail wagging for quite some time as this doggie Christmas gift is loaded with biscuits. 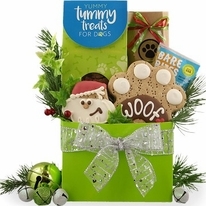 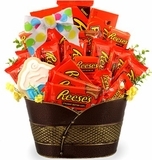 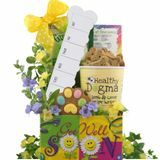 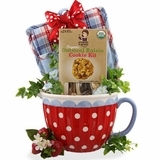 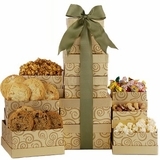 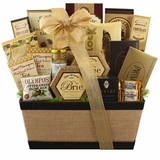 Biscuits of various shapes and sizes and packed to overflowing this holiday dog gift is sure to deliver a great reward for being good. 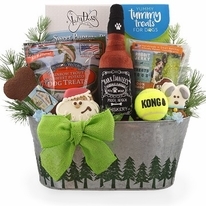 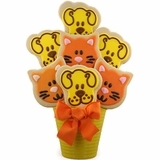 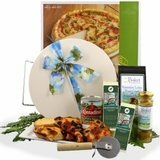 Our pet gifts are not only perfect for the pets themselves but also make a great gift for that person who has just about everything including a dog!